Knee pads are incredibly useful for any sports where there is a great risk of falling on your knees or damaging the knees in any other ways. As there are several sporting activities that are known as common causes for knee-related injuries, knee pads are useful protectors for all athletes who are involved with such sports. As different sports have different needs, the knee pads differ according to the purpose: the material, flexibility and comfort level can all vary. However, no matter the specific details, their functionality is the same. The cushioning of the knee pads help to absorb the shock, hence it is a tremendous help for all athletes that do contact sports. Knee pads are most commonly used for basketball, volleyball, football, hockey, wrestling, rollerskating, skateboarding and in extreme sports like motocross. In general, whenever there is a risk of falling on the knees or getting any other blows to the knee area, it is wise to use knee pads – one of the main causes for severe knee injuries is just straining the knee too much and allowing it to take too much shock. Knee pads avoid developing nasty conditions like arthritis and prevent damaging your knee when you fall to the ground or get a blow by another player or a ball. Contact sports are not the only activities where knee pads come handy. There are also special knee pads developed for dancing, yoga and martial arts. These knee pads are much more flexible and don’t restrain the user at all so you can do your favorite exercise without feeling like there’s something holding you back. At the same time, your knees will remain safe. In sports where there is no need to be so flexible, such as skateboarding, the knee pads are stiffer and are designed for the purpose of tolerating extreme shock. Same goes for knee pads that are used for motocross as the risk of damaging the knee is much higher than in most other sports. When it comes to basketball, volleyball and football that in nature are quite similar, the knee pads differ even in this case. 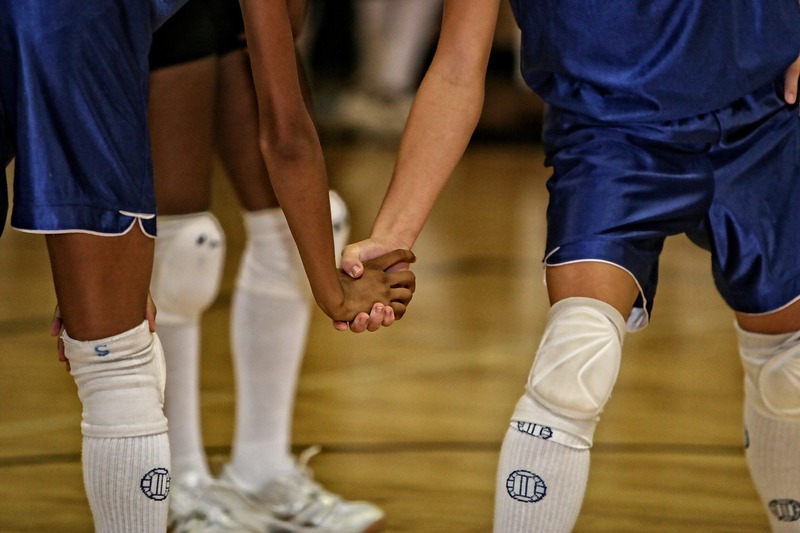 Volleyball knee pads for example have a much bigger padding while the ones used for basketball are longer so the knee area would have maximum protection against any contact, whether it’s by the ball or the basketball court. Though in sports where the chance of impact is lower – like volleyball – many players decide not to use knee pads, it is a far safer and more reasonable investment to use the knee pads as in the unfortunate case of getting an injury you might not be able to enjoy sports for a while and need to take a break until the injury has healed. Ignoring small damages and mild pain can result in developing Runner’s knee syndrome, Jumper’s knee or even arthritis and you will risk with damaging the knees permanently. Therefore, if you are involved in any contact sports where there is even a small chance of falling, no matter how experienced you are with your techniques, it is a good choice to go for the knee pads that are made for the particular activity. As the old saying goes, it is better to be safe than sorry.